The University of Missouri and Boston College have agreed to a two-game football series, as announced mutually today by both schools. The first game of the home-and-home arrangement is set for Sept. 25, 2021 at Boston College, with the return game at Mizzou scheduled for Sept. 14, 2024. The 2021 meeting in Chestnut Hill, Mass. will mark the first-ever meeting between the Tigers and Eagles. It will also mark the first time since 2000 that Mizzou has faced a sitting member of the Atlantic Coast Conference during the regular season. 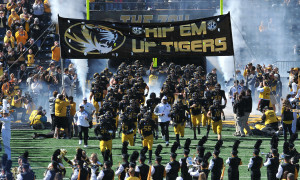 Mizzou defeated North Carolina in the 2011 Independence Bowl (W, 41-24), but the last time the Tigers met an ACC foe in regular-season play was a two-game series with Clemson during the Larry Smith era (Mizzou won a 38-24 game in Columbia in 1996, and fell at Clemson in 2000, 62-9). Mizzou did face current ACC member Syracuse in the 2012 season, but that was a year before they joined the league. “We’re pleased to announce this series,” said Executive Associate Athletic Director Bryan Maggard, who oversees scheduling. “Boston College is certainly a quality program with good name recognition so we feel this is an attractive matchup for our fans. 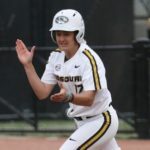 It also gets us into an area in the Northeast where we don’t often get to, and we certainly have a lot of Mizzou alumni in that region who will have the chance to see their Tigers in person,” he said. With the BC game in the fold and an Oct. 16 home game with North Texas, Mizzou is still working to add two more non-conference games in 2021. 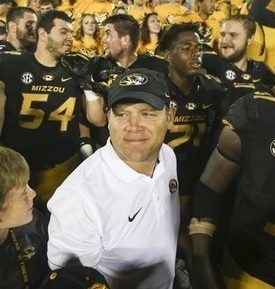 Mizzou is working to fill the remaining three non-conference games for 2024. “I’m excited to have this added to our schedule, it will be a great experience for our program down the road,” said Head Coach Barry Odom. “We appreciate everyone coming together to make this happen,” he added. 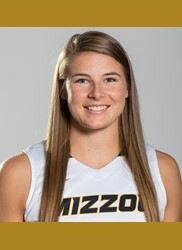 Mizzou women’s basketball senior forward Jordan Frericks sustained a torn anterior cruciate ligament to her right knee during a preseason workout. Frericks will be sidelined for the entire 2016-17 season following surgery, maintaining a year of eligibility. She plans to return for her redshirt senior season in 2017-18. My Take: Let’s be honest, when we looked at the 2016 schedule, we marked this off as a lost. You may have had the false sense of hope with Drew Lock and J’Mon Moore led the SEC in passing and receiving yards respectively that they could tear up LSU’s secondary. This was LSU, not Delaware State…not Eastern Michigan…and not a West Virginia team that held a big lead against the Tigers. Many of those passing yards were fluff, straight drops, outrun defenders. Lock and the offense still needs to grow. He’s young and his young offensive line got a good taste of what the next level of SEC play is all about. That can be a good thing. If you’ve read previous articles and listened to my podcasts (The Bill Pollock Show), you know what I’m going to say. 1. Offensively, they just don’t have a run game yet. Ish Witter is left to carry the load as Alex Ross recovers from injury. The Tigers are one dimensional and have to rely too heavily on the pass. 2. Drew Lock is still locked in on one receiver. For the second time in two SEC games, he’s missed receivers who are open who would have scored touchdowns and instead he’s thrown interceptions. 3. The defense isn’t as good as you have expected. Charles Harris can’t carry the load and after Harold Brantley and Walter Brady were kicked off the team, it diminished the D-line ever more. 4. Not only is the D-line failing to cover their gaps, the linebackers and defensive backs aren’t quick enough to cover skilled running backs. Perhaps they can cover middle of the road SEC backs, but against the conference’s top teams the speed isn’t there. That will be Barry Odom’s recruiting challenge. Thankfully, Mizzou is in the SEC East. They have an extra week to plan for Florida. 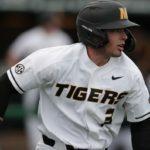 Win that game and the Tigers could easily rattle off a five-game win streak with teams like Middle Tennessee, Kentucky, South Carolina and Vandy up next on the schedule. At the end of the season, a 7-5 record would be a huge success for what should have been considered a rebuilding year. LSU has fired coach Les Miles and offensive coordinator Cam Cameron, according to Ross Dellenger of the Baton Rouge Advocate who first reported the firing. 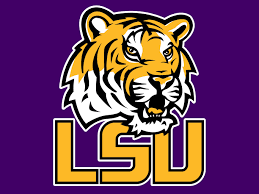 LSU defensive line coach Ed Orgeron will be offered the position of interim coach. Miles, who led the Tigers to three SEC West titles, two SEC championships and one national title, was in his 12th season with the program. 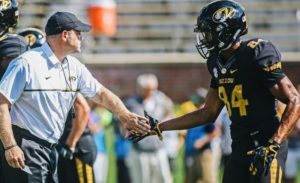 The Missouri Tigers set a modern day scoring record after their 79-0 win over the Delaware State Hornets on Saturday afternoon at Faurot Field. What does Missouri gain from a game like this? For starters, its a chance to get another game under their belt. It gives each side of the ball another day to work with each other in a game setting. It gives the coordinators and coaches another game to work on communication. The biggest takeaway from a game like this is the fact that the score was so lopsided proves the players got Barry Odom’s message loud and clear about preparing for every opponent the same. This Tigers team expected to win, but took nothing for granted. Their week long preparation was strong and the players are buying into Odom’s system. The team will continue to work on special teams. In his post game press conference, Odom was unhappy with the opening kickoff return that resulted in a penalty and starting the offense back inside the five. He was also unhappy with the number of fumbles and said this week it’s back to high and tight drills. 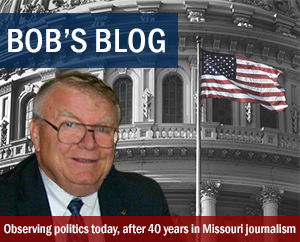 “The state of Missouri is counting on us to protect the football,” said Odom. The Tigers pulled their starters for the second half and the teams agreed to reduce the game time to just ten minutes per quarter. Following their heartbreaking 28-27 loss to No. 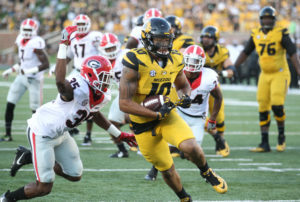 13/16 Georgia last weekend at Memorial Stadium, Mizzou will get a confidence building win as they play Delaware State today at 3 p.m. Mizzou is 15-0 all-time against teams from the FCS. They will be 16-0 after today, but I need to see some changes before I’m ready to believe that this team can compete on the road against LSU and then Florida. Delaware State was off last week and come in with an 0-2 record. The Hornets lost to Delaware 56-14 and Monmouth 34-20. They went 1-10 last year under first-year head coach Kenny Carter last season. Mizzou’s offense ranks in the national top 10 in passing yards, fewest sacks allowed, fewest tackles for loss allowed and is in the national top 20 in total offense and passing yards per completion heading into week four. Many will look at that and think that’s great news, but I’m looking at the other side…sometimes I’m a guy who sees the glass half empty. The offensive playcalling has been bland and the Tigers lack a run game. Right now, they’re one-dimensional. This one is going to sting and it’s going to go down as one of the all-time disappointing losses for the Missouri Tigers football program. The fact that we are even discussing a loss like this in week three against a nationally ranked team shows us how far the program has come not only since last November, but in the last three weeks. Yet again, at the end of the day, the last thing Mizzou fans should be saying is “Attaboy.” The time has come for the Tigers to start learning how to put these games away after losing 28-27 late to the Bulldogs. The questions left for Barry Odom and the coaching staff. Did they become too conservative too early? Was Drew Lock too aggressive at the wrong time? 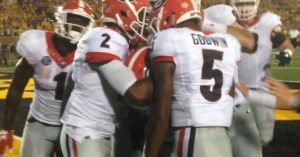 How did the defense allow Georgia to score on 4th and 10? 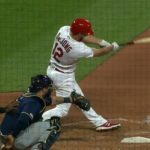 How do the player’s bounce back? 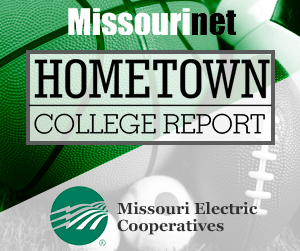 The Missouri Tigers have their first win in the Barry Odom era, a 61-21 victory over Eastern Michigan on a near record night for sophomore quarterback Drew Lock. Lock finished the night with the third most passing yards for a single game in Mizzou history, finishing with 450 yards. Jeff Handy threw for 480 in ’92 and Blaine Gabbert 468 in ’09. Lock’s yards come in a game in which the Tigers won. Handy and Gabbert both loss. His five touchdown passes to Johnathan Johnson, Kendall Blanton, Ray Wingo, Emanuel Hall and Jason Reese tied Chase Daniel’s record and it was the first TD reception for each of those players. You die hards may have expected a win at West Virginia and I tried to tell you different. If you think this week is going to be a landslide against Eastern Michigan, don’t get too far ahead of yourselves. 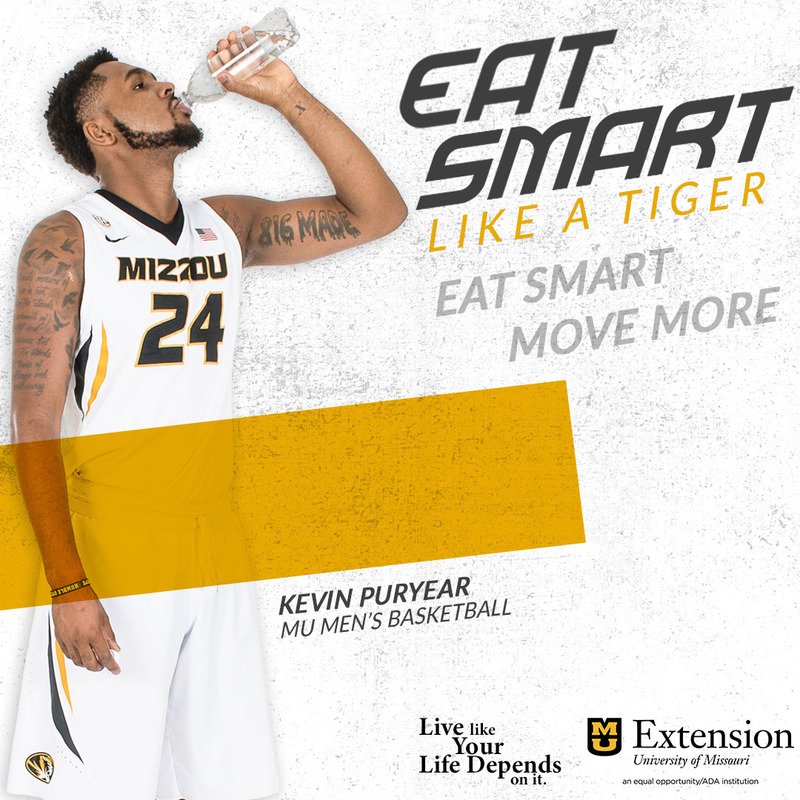 Now, let’s be real, even if the Tigers play the way they did against WVU tonight at 6:30, Mizzou should still come away with a win. However, I expect marked improvement from the Tigers after getting a game under their belt. There are a few things I’ll be looking for from the offense, defense and special teams. OFFENSE–In order to score points, they need drives longer than six plays and their top players need to touch the ball more. SPECIAL TEAMS–I don’t want to keep calling the kid Tucker McCann’t. The University of Missouri Athletic Department announced that it has received a $10 million gift from the Kansas City Sports Trust. The Trust has given the gift toward the building of football facilities, which are currently being developed in the master planning process by Athletics and campus facilities. “We are so pleased to make this announcement today,” said Director of Athletics Jim Sterk. “The Kansas City Sports Trust has stepped up with a tremendous leadership gift that demonstrates true philanthropic giving. We’re so appreciative of this support, and we’re hopeful that this will encourage others to join in and help us achieve our goals of building football facilities that put us in the upper echelon of the Southeastern Conference. Making this facility become a reality is critical to our commitment in providing one of the best student-athlete experiences in the country,” Sterk said. Sterk said the gift is an important starting point to kick off a fundraising campaign for the football facility project. Specific details and scope of the campaign and the project will be announced at a later date after plans are approved and finalized. “The Kansas City Sports Trust has such a generous history of giving to Mizzou, and we’re very grateful for their continued commitment,” said Head Football Coach Barry Odom. “We’ve said from the start that we can’t do this alone – we need support from our fans to get where we want to be, and this is an amazing statement of support. I’m excited to get to work with our administration and our architects to develop plans that will showcase Mizzou in a first-class manner,” Odom said. The Tigers host Eastern Michigan for their home opener this Saturday at 6:30 p.m.